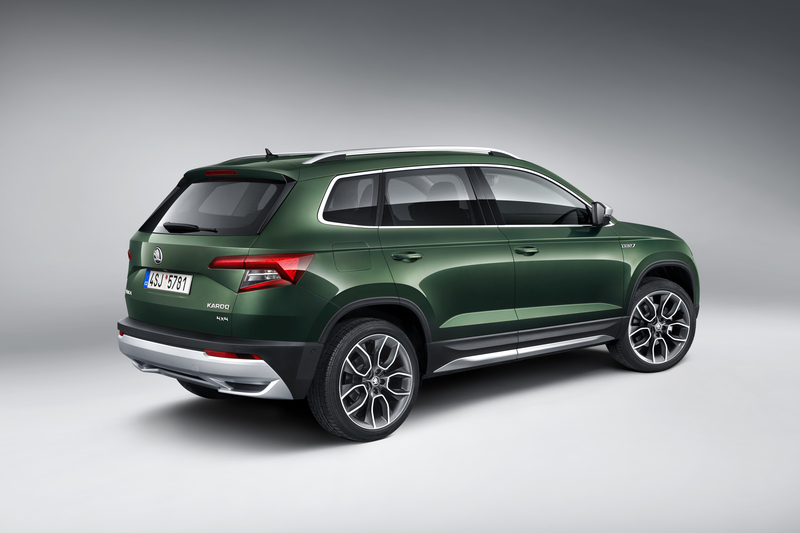 Mladá Boleslav, 31 July 2018 – ŠKODA is expanding the ŠKODA KAROQ series: With the new ŠKODA KAROQ SCOUT, the Czech car manufacturer will be presenting an even more robust variant of the popular compact SUV series in October at the Paris Motor Show 2018. 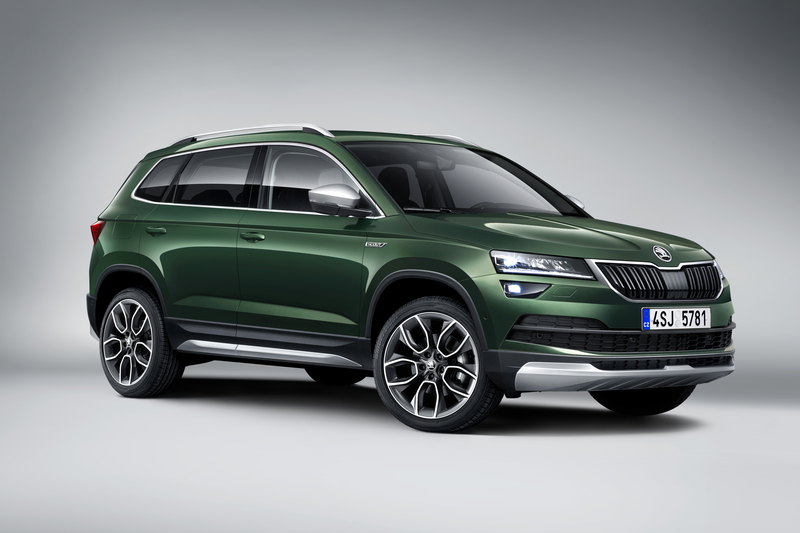 As with all ŠKODA SCOUT models, the KAROQ SCOUT also comes with four-wheel drive as standard in addition to sporting a powerful off-road look. The ŠKODA KAROQ feels just as much at home in the big city as it does off the beaten track. In numerous variants, the model can meet the needs of every customer – from the young family to lovers of the great outdoors. Just as the OCTAVIA SCOUT and the KODIAQ SCOUT, the latest addition to the SCOUT family offers four-wheel drive as standard. In addition, the powerful off-road design emphasizes the model’s optimized off-road potential. With its rough terrain package, the ŠKODA KAROQ SCOUT is fully prepared for demanding trips where tarmac roads end. As the only variant of the compact SUV available exclusively with all-wheel drive, ŠKODA offers three efficient and environmentally friendly engines for the KAROQ SCOUT. In addition to a 1.5 TSI petrol engine with 110 kW (150 hp) in combination with a 7-speed DSG, two diesel engines are also available: The 2.0 TDI with 110 kW (150 hp) comes with a manual 6-speed gearbox as standard; a 7-speed DSG is available as an option. In the most powerful ŠKODA KAROQ SCOUT, the 2.0 TDI delivers 140 kW (190 hp) and is coupled with a 7-speed DSG as standard. With its chrome and silver-coloured bodywork elements, striking wheel arch linings and anthracite, polished 18-inch ‘Braga’ alloy wheels, the ŠKODA KAROQ SCOUT sports a robust appearance. As an option, ŠKODA also offers anthracite 19-inch ‘Crater’ alloy wheels. Tinted windows and SCOUT logos on the front mudguards round off the powerful look. In the interior, the seats feature newly designed covers with black-brown contrasting seams. All seats are embroidered with SCOUT lettering. The multifunction leather steering wheel, pedals with stainless steel elements and an LED package that includes ambient lighting complete the extensive range of standard equipment. Drivers can individually configure the ŠKODA KAROQ SCOUT’s Virtual Cockpit according to their needs. The driving mode selection offers an off-road setting. Thanks to an LTE module and Wi-Fi hotspot, passengers in the ŠKODA KAROQ are ‘always online’. A true ŠKODA, the KAROQ SCOUT boasts numerous ‘Simply Clever’ ideas and storage options. The optional electric boot lid with tip-to-close function opens and closes at the push of a button or by pulling gently on the open lid; on request, the virtual pedal under the rear bumper allows the fifth door to be opened with a simple foot motion. 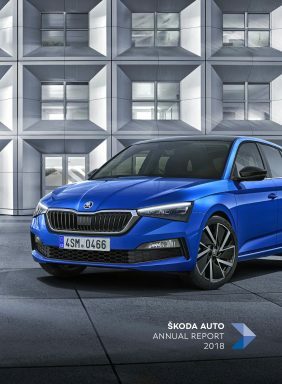 ŠKODA offers a variable floor for the boot. Storage nets on the front seats and centre console make everyday driving easier, as does the compartment for small change and carpark tokens on the driver’s side, as well as a holder for multimedia devices.